New government investment of £10 million has been awarded to services that are supporting drug and alcohol recovery across England. 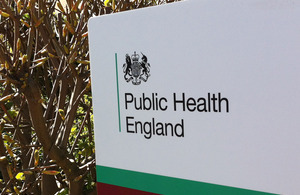 The capital funding is being distributed by Public Health England (PHE) via local authorities to service providers that support projects which contribute towards helping their clients to overcome dependency from drugs and alcohol. All recovery-focused adult drug and alcohol treatment and support services across England were entitled to bid for a share of the funding, provided that funding proposals were recovery-orientated and committed towards improving recovery outcomes. The quality and range of applications submitted was impressive, and shows the passion and creativity the drug and alcohol treatment sector consistently puts into supporting recovery. The successful projects range from smaller schemes such as those providing training opportunities to people in recovery, to large-scale schemes such as building new recovery centres. Each of them will make a real contribution to the delivery of recovery-orientated treatment and support. This is the fourth wave of government capital investment funding to support drug and alcohol recovery, and follows Department of Health capital funding in 2007, 2009 and 2010 managed by the former National Treatment Agency. Adaptations to properties in order to create a recovery housing and day service project in Liverpool that supports military veterans with substance misuse issues. Developments to a site from which a community interest company in Stockport operates, that helps people recovering from alcohol addiction gain skills through horticultural activities and receive peer support through mutual aid networks. Investment in a housing project in Middlesbrough that delivers ‘move-on’ accommodation for people in recovery, with a particular focus on housing and employment options. Investment in a project to develop a one-stop recovery hub in Stockton, that serves the local community. Investment in additional counselling rooms at a unique mother and baby residential rehab in Plymouth. Investment in a service user initiated project in Gloucestershire that is supported by a local residential rehab, which will provide a community based recovery centre offering support to people to maintain their recovery, including opportunities for volunteering, training and qualifications that will lead to employment. Development of a property in Brighton and Hove and the installation of cooking and catering facilities in order to increase education, training and employment opportunities for women in recovery. Development of a new recovery hub in Weymouth to provide support to people in Dorset recovering from addiction. The new service will provide therapy rooms, education, training and employment opportunities and accommodation for people in recovery. Expansion of move-on accommodation facilities at a residential rehab in Oxfordshire. Supporting the set up costs of a visible community Recovery Hub in Cambridge, which will offer a wide range of activities to support people in recovery to live drug free lives, led by volunteers and peer champions themselves in recovery. A residential rehab led project in Suffolk to renovate a building and provide the space for an expanding social enterprise where people in recovery learn skills in, amongst other things, furniture restoration and car valeting. Investment in nursing equipment and refurbishment plans at unique crisis detox centre. The development of a recovery centre and café in Greenwich to operate as a focal point for people to maintain their recovery, as well as a venue and meeting point for people accessing a local educational service that targets people with substance misuse or mental health issues. Supporting the development of a ten-bed recovery house in Staffordshire for people who are in recovery and wish to resettle in the area, and become part of the local recovery community. Residents will support one another and benefit from other recovery community activities. Supporting the development of the first residential, supported drug free unit in Warwickshire. Supporting the development of eight self-contained flats in Nottingham city dedicated to homeless people with primary alcohol problems to support their journey towards sustainable independent living and recovery in the community. Purchasing and refitting new premises in Rotherham to serve as a central recovery hub for the borough. The new service will provide dedicated skills and training space as well as venues for SMART recovery, AA and NA to meet. A kitchen and refectory will be onsite as part of a social enterprise development for people in recovery as they reintegrate into the local community. Supporting the further development of a residential alcohol unit in Leeds to increase capacity for detox and rehabilitation.